Car and residential window tinting films are not everlasting. 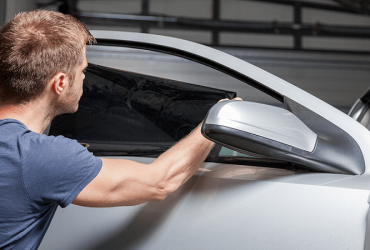 You have to remove window tint and replace it after a while to maintain efficiency. The deteriorating films can easily be identified by two symptoms. “Purple Film” and the “Bubbling Film”. Non-metallic dyes present in the film are the cause of the purple film. The falling of adhesive used to attach the film is the main reason of bubbling film. It is not easy to detach a malfunctioned film. It cannot simply be peeled off. That may make the glass sticky and blurry. There are some rules to follow when you try and remove window tint. Thankfully, the removal of window tint does not involve any fancy equipment. You might also want to read more on how to tint your car windows. 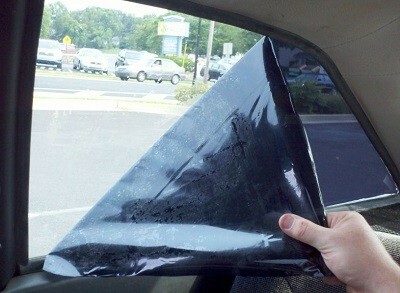 Slice two sheets of the black trash bag that match the size of the window. Soap water must be applied on the outer part of the window. Then, one of the two plastic sheets will be placed on that. The whole step is for ensuring that films will be removed just by one try. Heat attracted by the bag plastic sheet is used to make the peeling process smooth. In this step, the focus will be on the inner part of the window. It is better to cover the adjacent surfaces and interior with cloth or tarp before proceeding. After covering the inner interior surfaces, undiluted ammonia should be sprayed on the whole inner window. Precautions like wearing a mask can be taken because undiluted ammonia is odorous. After the spraying, without making any delays attach the unused plastic sheet against the window. This will help to maintain a fully wet surface. The undiluted ammonia will take some time to reduce the strength of the adhesive. An hour or so will be sufficient for that. It will be advisable to place the car in a place where sunlight comes directly during waiting. At this stage, the peeling process can begin. With the help of blade or just fingernails lift the corner of the film. Take a breath and try to peel off the whole film in one go. Do not be frustrated if it fails. Just try to maintain the wet surface with ammonia. After the film is removed, wipe out any residue or any remaining adhesive with the help of super fine steel wool and ammonia. You can use a dry paper towel after that to make it better. The process is almost finished. The plastic sheet of the outer part can be removed now. A good wipe with a glass cleaner can be useful. With proper equipment and a few hours time, it is not a difficult job. 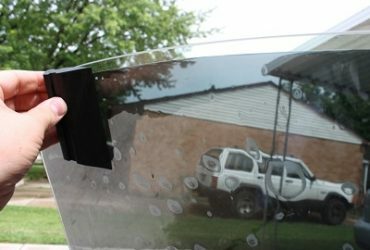 Hope this article spread some light on how to remove window tint. You might also be interested in how to get bubbles out of car window tint.